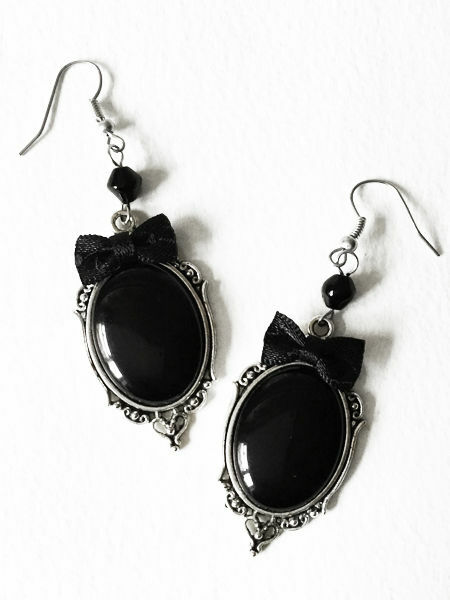 A truly lovely pair of gothic Victorian mourning style earrings featuring black resin cabochons set in pretty antique silver plated oval frames finished with little black damask bows and jet black Austrian glass beads. 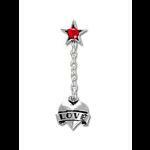 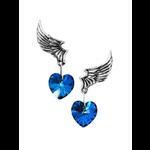 The earrings come on hypoallergenic silver ear wires and are presented on velvet card and an organza gift bag. 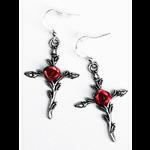 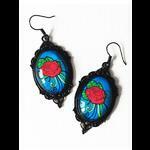 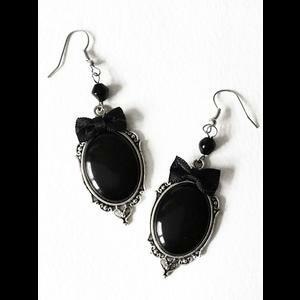 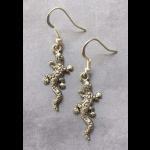 These pretty earrings will add Victorian elegance to any outfit.